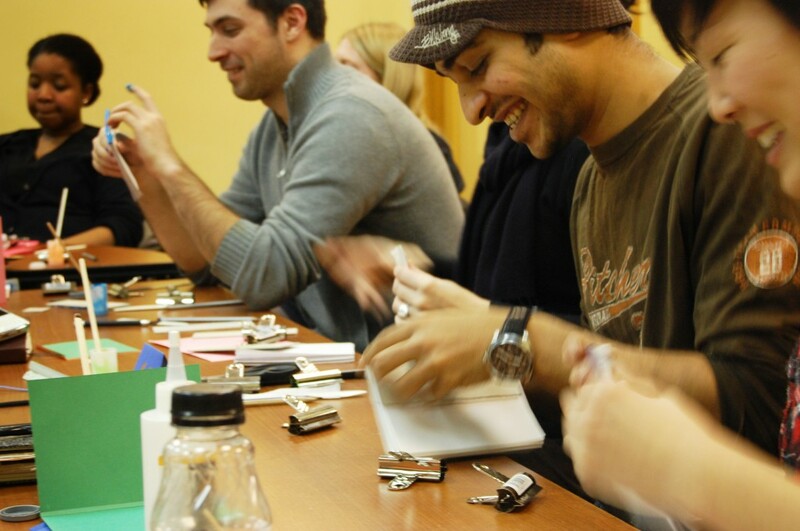 We hosted our first workshop series in 2011 as a way to show that anyone and everyone can be a designer. We aimed to unpack the design process, find accessible ways to create work and collaborate with social justice initiatives. 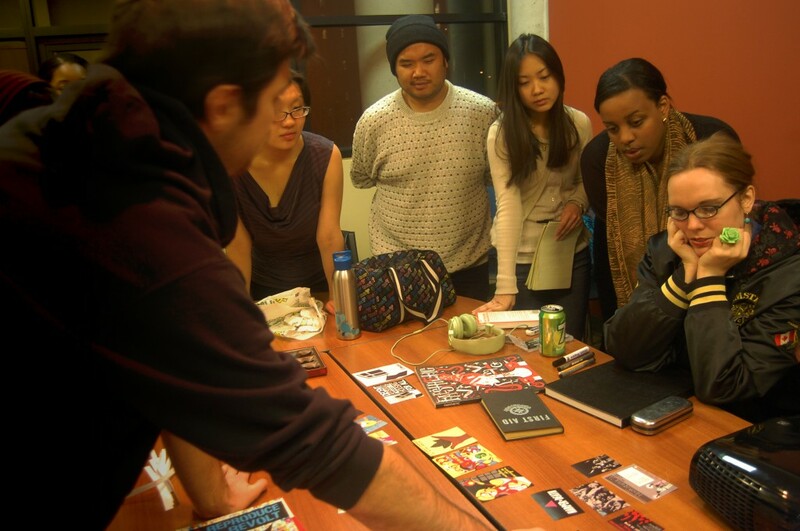 This eight-part series included workshops on design theory, remixing, radical typography, stencils, screenprinting, linoleum printing, bookbinding, and digital design processes. Each workshop was facilitated by an RDS member or a local artist and looked at ways that design and art have always had places in social movements. 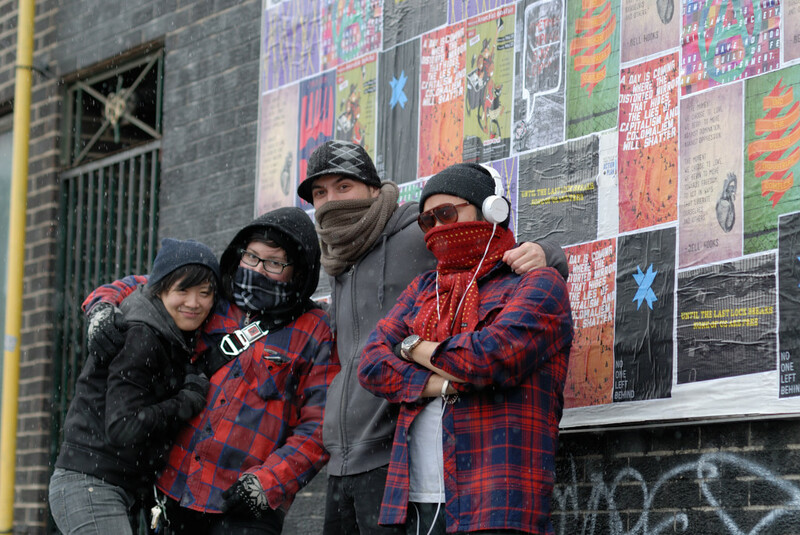 Participants created finished work which was later wheat-pasted on the streets of Toronto. At the end of the series a full curriculum (link to all workshop outlines) was developed, along with resources for all eight workshops. The curriculum is available here (link to resources) and further resources can be shared via email (link to email). Ryan in front of several workshop attendees, showing pictures on a table for the Remix workshop. 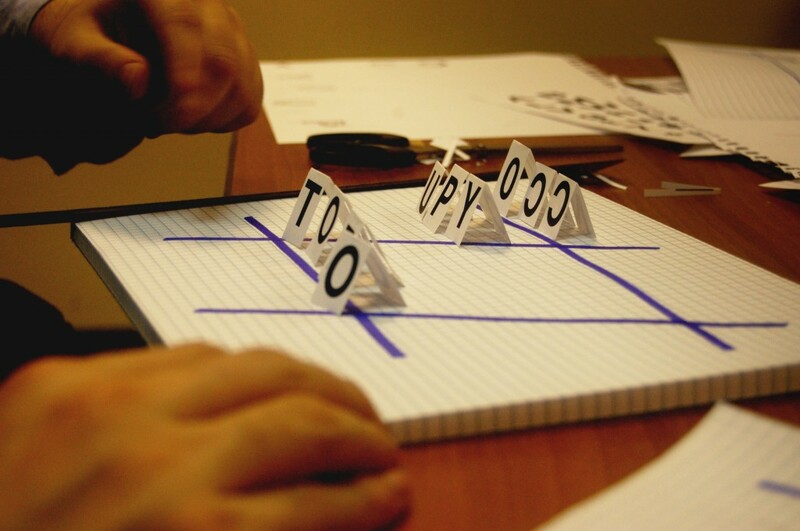 Individually cut out letters placed on a piece of lined paper, remixing mediums. Participants at a table, cutting and gluing past posters into new objects and new meanings. 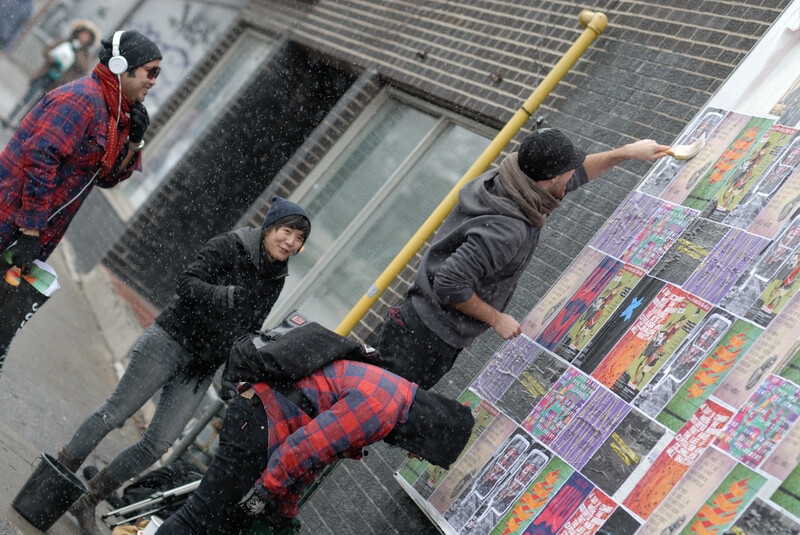 RDS workshop attendees, pasting final poster prints in Toronto. Photo credit: Andrew Mindszenthy.